Reality Changers is pleased to announce that cStone & Associates has launched the search for the non-profit’s next CEO and President. San Diego, CA, March 05, 2019 --(PR.com)-- Reality Changers is pleased to announce that cStone & Associates has launched the search for the non-profit’s next CEO and President. Founded in 2001 and based in the City Heights neighborhood of San Diego, the mission of Reality Changers is to transform lives by providing youth from disadvantaged backgrounds with the academic support, financial assistance, and leadership training to become college graduates. After working with the Reality Changers board and staff, cStone & Associates developed a comprehensive position description. Prospective candidates, or those who would like to refer candidates, should contact Carrie Stone at apply@deliveringleadership.com. All communications will be confidential. 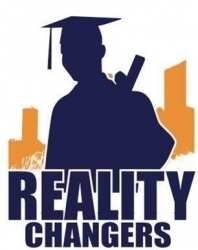 Reality Changers believes that college and career-readiness are essential for building stronger communities. Reality Changers uniquely seeks out low income students with high aspirations, as well as the toughest, lowest-performing students and helps them find the path to college and careers. Staff believes that even 8th graders with 0.0 to 2.0 GPAs can become college-bound if surrounded by higher-performing, positive peer role models. Over 2,000 Reality Changers graduates have now earned over $140,000,000 in scholarships from all sources, including 29 Gates scholars. President and Founder, Carrie Stone has over 25 years of corporate executive leadership and service on boards. cSTONE & ASSOCIATES recruits world-class executive leaders and board members to assist clients in achieving their strategic objectives. Clients include public, private equity-backed, private, family-owned businesses and nonprofit organizations. Beyond identifying highly qualified candidates, clients value and appreciate cStone & Associate’s thorough and transparent process including understanding the values and cultural aspects of an organization as well as the hiring executive's profile to identify candidates who will align well with the organization and team. cStone & Associates is focused on recruiting visionary executives who make an impact for clients, building relationships that matter and adding diversity to leadership teams.